Robbie Mitchell was happy to survive his scary crash unhurt. 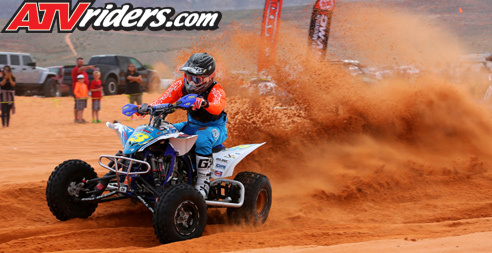 After remounting his quad, he ran a slow pace for a few laps before charging up into the top five. Collins Webster was in the thick of the action for most of the race, showcasing a continuation of his break out season. Webster had tracked down Baron and was attempting to capitalize on a mistake. Unfortunately, fueling issues slowed his charge on the final lap.